Chairman of the Tobago Festivals Commisson George Leacock, left, and Tourism Secretary Nadine Stewart-Phillips at a previous post Executive Council media briefing at the Administrative Complex in Calder Hall. TUCO Tobago President Ainsley King is accusing the Tobago Festival Commission (TFC) chairman George Leacock of running the organisation in a “dictatorial" manner and undermining the calypso governing body. In a media release on Monday, King responded to statements made by the TFC that TUCO refused to attend a meeting hosted by the commission to discuss 2019 Carnival plans. King said TUCO submitted its budget to TFC on request but had also complained about the manner in which Leacock was treating them and requested mediation. But speaking to Newsday on Monday evening, Leacock said he stood by the January 25 press release issued by TFC and said the door remained open for TUCO to discuss and rationalise the budget they submitted. Leacock said the TFC was simply looking after the interest of calypsonians and the public, while putting structure that was lacking. 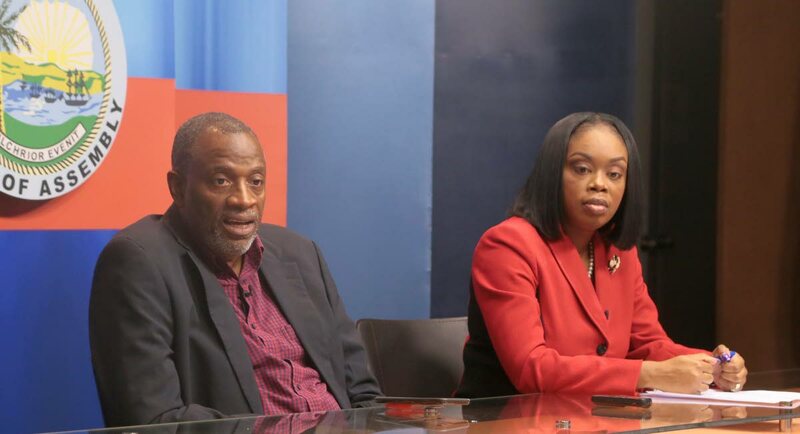 He said, "The problem that we are attempting to solve in Tobago is because people were being dissatisfied with the selections in the calypso tents, run by TUCO, and people started forming more and more tents. We invited TUCO to be part of the process (to fix this) and they refused to." Leacock added, "There are not really nine calypso tents really worth of singers in Tobago that the tents could be viable. What happens, every time somebody upset about not being selected, they broke away and form a new tent and we reached the point where we had nine last year. The THA has limited funds and what happened is these tents were under-funded. The idea was to fund two tents well so they would be comfortable because the bands not getting paid, suppliers not getting paid." Leacock is optimistic their 2019 plans will be well received after auditions were held over the weekend. "We screened 38 calypsonians. We decided to divide them into two tents and we also had musicians available, experienced performance coaches and quite a mix of calypsonians and veterans – including people who've made it to Skinner Park. We were very impressed and sometimes surprised at the very high standard," he said. Leacock said the two tents will not be fixed at specific venues but rove around the island. "They would alternate between Windward and Leeward Tobago and we are considering existing establishment where those tents would perform," he said. Despite financial constraints, King said on Monday there will be a Magnificent Glow opening night very soon. Reply to "TUCO sings about ‘undermining’"